I have had horrible tummy troubles for the last few years, but this year, a friend recommended trying probiotic yogurt. Enter The Coconut Cult's probiotic coconut yogurt. This coconut yogurt has more than 25 billion probiotics per serving...and is tasty (a bit sour and tangy) to boot! My favorite flavor? Coconut Cream. I like to eat a spoonful every other day in lieu of a probiotic supplement. And...most importantly, it's helping my gut health more than anything ever has. Whew - finally! This year I tested out a few different protein powders...and all of my samples lead me back to Vital Proteins Collagen Peptides. This protein powder is tasteless, not gritty or powdery and doesn't contain any allergens for me (pea protein, soy, etc.). It's been a great way to get protein in post-workout and gives my morning oatmeal or smoothie a little more substance. Plus: collagen supports bone health....and hopefully stronger hips. I really am a sucker for the "New This Week" section at Trader Joe's, and this year, I found the new love of my life on the shelf: Cold Brew Coffee Chocolate Bar. The bar is made of dark chocolate and rich coffee grounds - and filled with caramel. It's sweet without being overwhelming - and feeds into my chocolate and coffee addictions. I've been nomming on a square during my afternoon work slumps. It's honestly divine. I'm always on the hunt for a good protein bar, particularly because so many are filled with peanuts, peanut butter or pea protein...all of which I'm allergic to. When I found RX Bars, I was in heaven. While there are a few peanut-based bars, the majority of them rely on almonds. 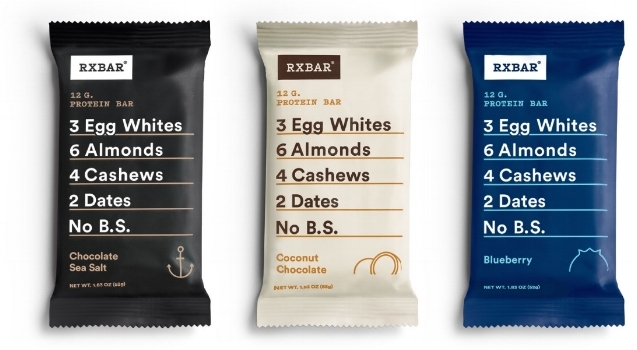 The bars are made entirely of real food - like nuts, egg whites, dates and spices. So simple, so tasty. My go-to? Chocolate Sea Salt. It's a guilt free dessert. I was on the probiotics train this year, apparently. While kombucha used to freak me out, I started sipping on the fermented tea after a masseuse recommended I drink it to help recover from a deep tissue massage. Since then, I've been obsessed with it. My favorite? Health-Ade. It's pricier, but it's small batch, made by hand, only offered in glass containers and uses cold-pressed juice. Yes, please. The ginger lemon flavor is so yummy - and also helps settle my tummy. If you know me at all, you know I am crazy about my hair. One of my favorite products I discovered this year to treat my hair with? Davine's All in One Milk. I found this product in a Birchbox that I won and have since been obsessed. The product uses Roucou oil to soften, detangle and fight frizz. You can use it on wet and dry hair - and it also acts as a heat protectant. Best part? It smells so good. I started a new volunteer position this year...where I can't show any of my tattoos. While I could cover my visible ones up with a sleeve, I didn't want to be stuck with long sleeves on hot days. So, I stumbled on Kat Von D's Lock-It Tattoo Foundation. This foundation has worked like a charm covering up my tattoos. It's amazing. This year, my skin was a bit out of control. Who gets acne in their twenties...and didn't have it in high school?! Rude. 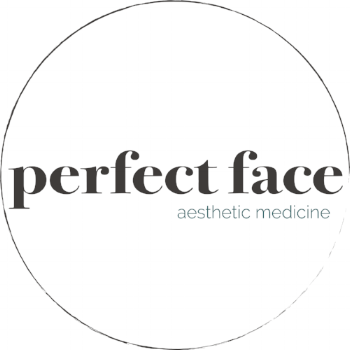 Anyways, per the recommendation of a few friends, I visited Zoe at Perfect Face in La Jolla to get a consult on what products I should be using. I picked up a few from her line (Perfect Change Serum, X5 Serum, Dew) - and my skin has been looking the best I've ever seen it. Call me shallow...but I feel way more confident. Nothing makes my hair feel softer than Maple Holistics' shampoo. 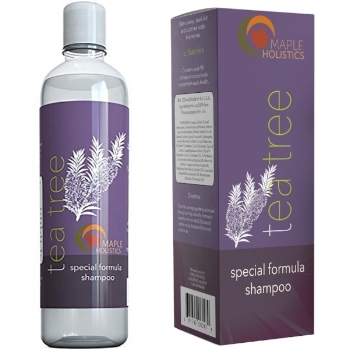 The shampoo has added tea tree oil to boost hair growth and improve scalp health. The shampoo is also paraben and sulfate free...because why put crap on your body?! 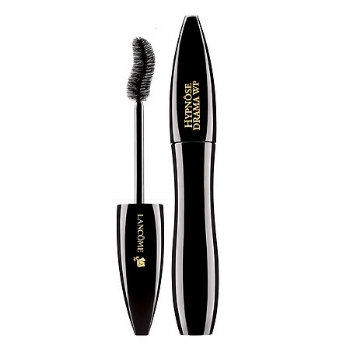 I've been searching for a great mascara for years (that was a step up from my normal drugstore pink and green tube....) and stumbled across Lancome's Hypnose Drama Full Body Volume Mascara. This black mascara creates immediate volume without any gross clumping...and the brush's S shape fits to lashes naturally. Perfect for work days and nights out on the town. While I love a good statement earring or ring every so often, I like to keep my jewelry game pretty simple - a watch, necklace and studs - most days. I ordered a simple, gold Mimi & Lu necklace off of Revolve earlier this year...and TBD if I ever took it off. This simple, delicate necklace always upped any look. Plus: the brand is local! Win-win. I ordered a Triangl swimsuit before my February trip to Cabo, and I can't stop wearing it (San Diego's endless summer for the win...). The neoprene fits like a glove and keeps everything held in so you can be active in it. But, it's still super simple and cute! I'm a firm believer that leggings are the best pants...but when I do have to wear jeans, I opted for Madewell pants every time this year. This brand makes the comfiest jeans - that somehow fit even my short legs with no hemming required. 100% worth the money. I'm not a fashionista by any means, so I tagged along with my friend Dana on a shopping trip...and she helped me pick out a few new items that were actually fashionable...including this dress from Topshop that ranks as one of my favorite purchases. This wrap dress makes me feel fabulous...and made me fall in love with Topshop. I like to kick it in Converse...and this year, I finally splurged on some high-tops. I was nervous that the shoes would show off my cankles, but instead, I think they add to basic outfits...and maybe, even possibly, make me look cooler than I actually am. Is adulthood when you actually enjoy cleaning? If so, I'm well on my way to adulthood. My favorite thing to clean up with in my apartment? 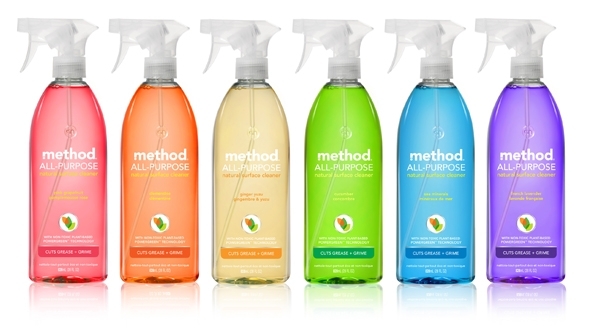 Method's All Purpose French Lavender Cleaner. Plus, the ingredients are biodegradable and all natural. Win. This isn't really a home product, but it is in my home...my home set of Cards Against Humanity has been a real gem this year. It's perfect for parties and I'm always happy to have the game on hand in my apartment. I keep a giant stack of personalized, pretty journals from May Designs in my cubicle at work. I keep a few bullet journals, plain page journals and lined journals...and I truly believe it makes taking notes at meetings more enjoyable. Trust me! Plus, it's fun to order so many of the pretty patterns and prints. The options are endless. Earlier this year, during what I call "fleapocalypse" in my apartment, I invested in a new vacuum - the Bissell CleanView. Let me tell you - it was life changing. Yet again, who knew I loved cleaning...or daily vacuuming?! Something is so rewarding about a clean place - and this vacuum gets the job done without breaking the bank. I am obsessed with Lululemon's new Fast & Free Nulux bra. The bra comes up a bit higher than traditional sports bras, covering up any cleavage - in a way that the sports bra almost functions as a top. It provides pretty decent support and is adorable. I wear mine to almost every yoga class or gym sesh. I want all the colors! After years of using my old ratty yoga mat, this year I finally upped my game with a Manduka Prolite Mat. This mat is the perfect thickness, doesn't slide with sweat during heated classes and doesn't smell rubbery at all. I'm obsessed - and wonder why I hadn't invested in a quality mat to practice on before. Spotify Premium is one of my continual best investments...the ability to make playlists, shuffle through songs, not listen through commercials and download playlists to listen to without wifi. It's hard to beat. I create all of my workout playlists here - and find a lot of songs to add to them through my Discover Weekly. Throughout college, I only wore Nikes to run in. They were so comfy and supportive...but when I graduated and went to pick up a new pair, I hated the new versions. They weren't comfortable and fit completely different. So, I returned to wearing Brooks. This year, though, I finally decided to try Nikes on again and give them another go. Props to Nike who definitely listened to customer feedback - the kicks (I got Zoom Structure 20) are finally back to feeling comfy and supportive. I stopped into Milestone Running to pick up a pair of shoes earlier this year and ended up with a few pairs of Stance socks. My sister raved about them for the last few years, but I never understood the hype until I ran in their running line. The socks are super breathable, there's slight compression (but the sock is still soft)...and they're so cute! I've been on the essential oils train for quite a bit, but this year, I got hooked on doTerra oils. I use them in everything from cleaning supplies to skin care to diffuser blends to topical care to supplement blends. My personal favorite (aside from lavender)? Deep Blue. Deep Blue is a combination of wintergreen, camphor, peppermint, ylang ylang, helichrysum, blue tansy, blue chamomile and osmanthus. I have been using this oil near my hips to help fight inflammation and to soothe pain. This year, I started to read up on all the crap that's included in tampons- toxins, dyes, synethic materials (the FDA doesn't require any disclosure or transparency). Yuck - I don't want that in me! So, I stumbled upon Lola, a tampon subscription brand that uses just organic cotton! Each month Lola ships you a box full of your choice (size-wise) - and best part? It's super affordable. There is nothing more relaxing than hanging up my new hammock, piling in a few blankets and some snacks, and spending an afternoon reading. It's so relaxing to swing around in peace outside. I keep the hammock stored in the back of my car for any occasion that arises. I read...a lot. I think I scored around 30 books this year alone, and I'd consider that slow. This year, I finally made the smart decision to sign up for a library card through the city, and I truly think it has saved me hundreds of dollars. Plus, the app is super cool (for a library!) and lets you track where your holds are. One of the areas in life I wanted to grow in this year was journaling. So, I brought along this travel journal with me to Cuba and journaled daily. This cute (but durable) journal now holds so many of my memories. I can't wait to fill it up with more! What are your favorites? Let me know in the comments below! 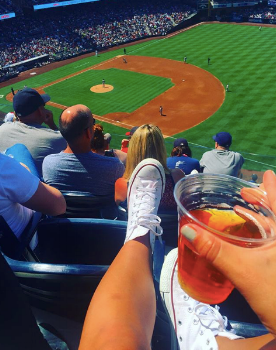 **This post contains affiliate links, but all opinions are my own!